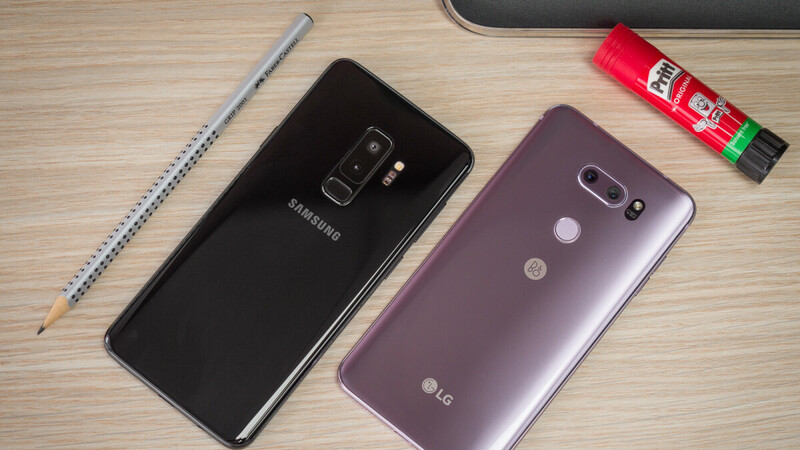 Which phone are you more excited about: Samsung Galaxy S10 or LG G8 ThinQ? MWC is only a month (+ change) away and, according to the latest reports, LG will be making a grand appearance with its next flagship — the G8 ThinQ. Of course, this means it will be directly competing with Samsung's Galaxy S10 for the limelight. Who will win? Well, we are pretty sure that phone enthusiasts will find a way to gather all the released information for both devices. But still, which one would you say you are more excited for? Samsung's Galaxy S10 has been leaked left and right. The potential of it releasing in three different variants, with a "cheap" version that will possibly have a flat screen instead of the signature edge curve has some people's ears perked. On the side of LG, we know very little. Only faint rumors, some controversies about whether its leaked design is the real thing or not, and the possibility of a module, which would transform the G8 in a foldable phone. We have to say, the G8 announcement may be the more interesting one as of right now, simply due to the fact that the phone is still shrouded in mystery. But hey, don't let us sway you — which one are you more impatient for? Which upcoming phone announcement are you more excited for? Despite the fact LG create decent phones with great hardware it seems everyone they are lacking in terms of software. Also Samsung marketing department is bigger than LG's by far. I mean why we are excited with a phone from 2018? The notch design of leaked LG G8 ThinQ is almost the same as current generation of the G7 ThinQ. Lol, Is that even a question ?! Any phone with screen holes or notches are out of the question for me. I watch too many videos/movies to be bothered by a hole dedicated for a front cam I'll use 0.05% of the time. I'll wait and see the rest of what's being offered. LG phones are always looked down on thanks to seemingly superio quality of Samsung devices. Truth be told though LG often bring a more interesting lineup. I'm more excite for LG becise they have something to prove. Wish there was an option for 'none'. Yeah, it's called don't vote. Want bootloop issues? Go with lg. They gave me headaches since lg g4 to g7 and their customer service is as crappy as tim cook's apple decisions. I forgave you many times but never again, lg.